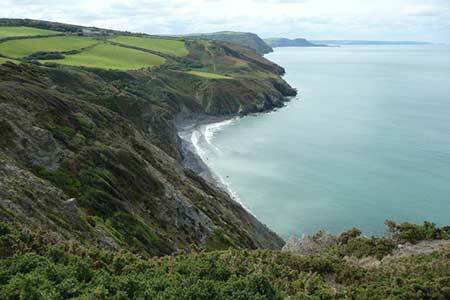 This walk explores a section of the Ceredigion coast to the south of New Quay. The outward route follows lanes and tracks on an inland course. The return follows the Ceredigion Coast Path back to the start. A GPX File is available for download (see walk description).